School pools across the country, provide the key ingredient to a joined-up approach to community sports provision. 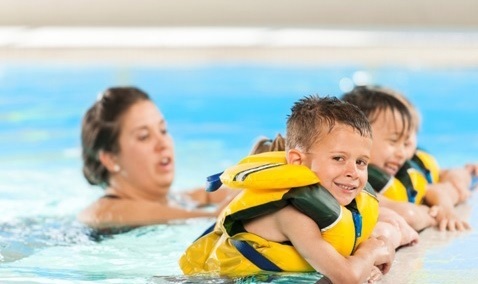 For example, the London borough of Edmonton, clubbed together to raise an outstanding £4.5 million, in just 18 months, to be able to invest in what has turned out to be an award-winning swimming pool and sports centre. The Latymer Upper School project has gone on to score top marks and was named as School Pool Of The Year in the 2017 UK Pool & Spa Awards.Situated on the banks of the Thames, in West London, the school’s outdated sports centre was demolished in 2013 and a new sports centre opened in 2016. The build project was project-managed internally by the school’s former Deputy Head Alex Hirts along with the architects, Faulknerbrowns. Schools like Latymer are a testament to joined-up collaborations. The replacement pool has been designed with the exact same specifications as the Olympic aquatic centre. 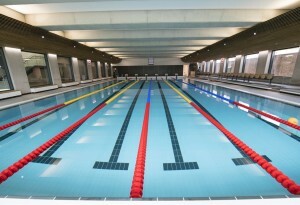 It boasts a movable floor, LED lighting, spectator areas, Swiss Timing, training and competition blocks and lane ropes. The plant room boasts two sand based filters, UV and automatic dosing. “Tom Devin, from Devin Consulting, designed the pool and the support we receive from him, even after the build project had been completed, is unbelievable,” acknowledges, Sports Centre Manager, Hassan Abdillahi.“Lance Brooks, services manager at FT Leisure, has been by our side since the beginning and always resolves any issues we cannot deal with internally,” he adds.“The staff team is the backbone of the sports centre and without them the pool would not be what it is,” says Hassan who confirms all staff undergo PPO and lifeguarding courses with additional in-house monthly training. 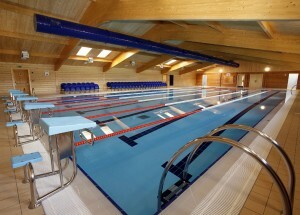 First class swimming facilities provided by Fowler Swimming Pools, have raised sporting aspirations at Bethany School. us apart from other schools in the sector,” he continues.“If I could make a wish, I would ask to build an exact replica pool on site, or increase the number of hours in the day, so I can accommodate all stakeholders,” Hassan adds.Hassan says the Latymer community is a working example of what can be achieved when the community pull together. “The community ate, drank, rowed and cycled for Latymer, to name just a few fundraising activities,” he adds.Golden Coast Managing Director Jamie Adams says there is a lot to learn for the trade when dealing with school pool projects.